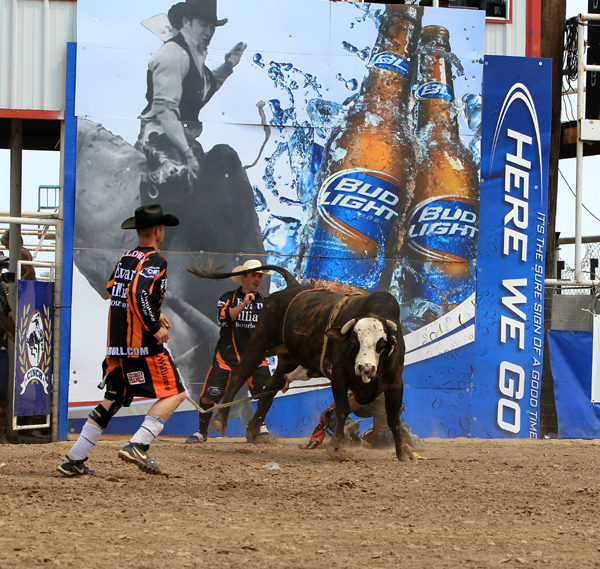 2018 - Kyle Lippincott, Jimmy Lee and Tanner Zarnetski. 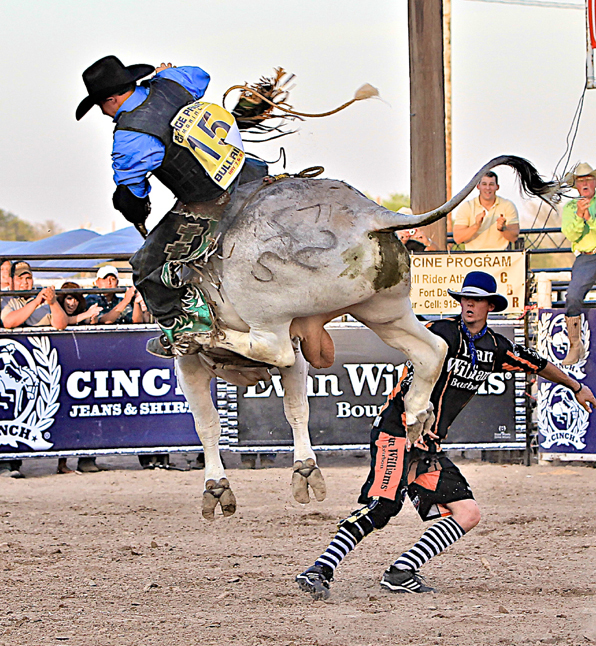 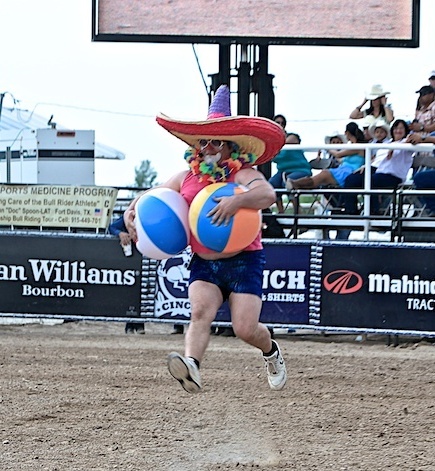 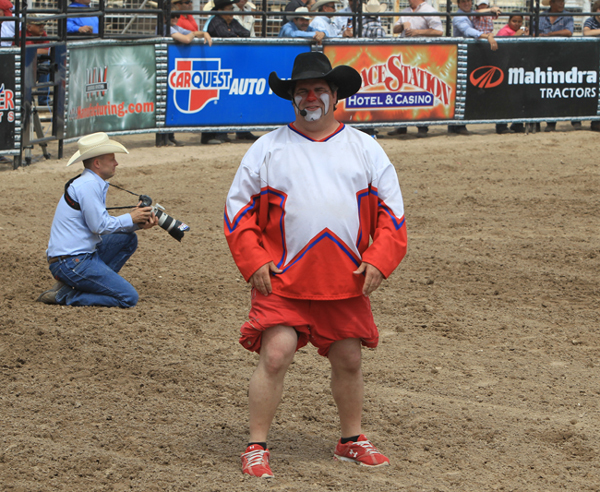 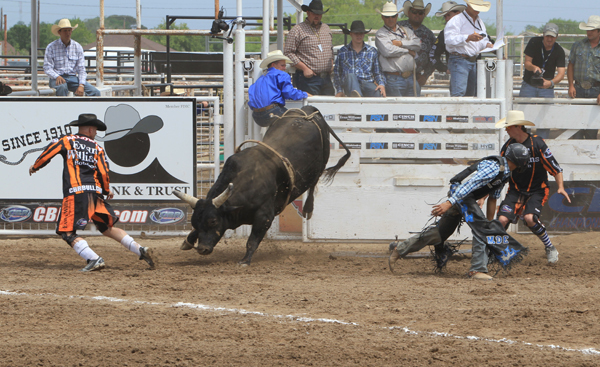 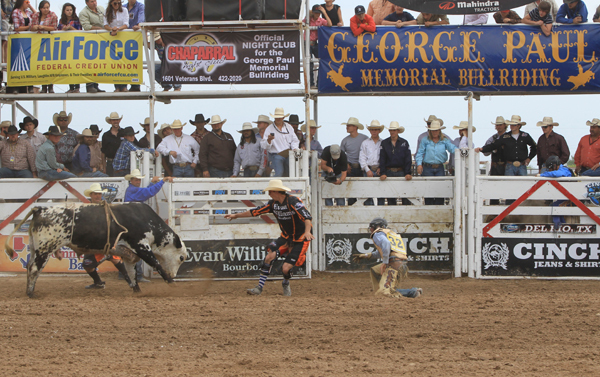 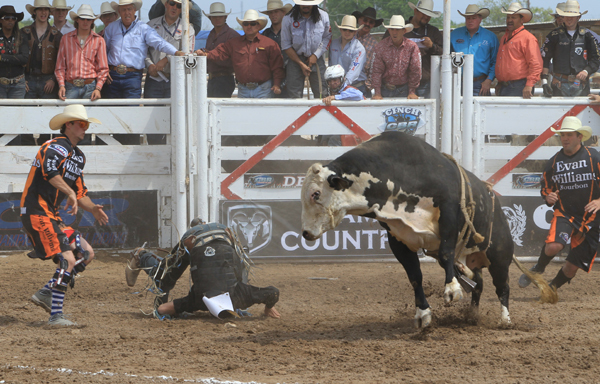 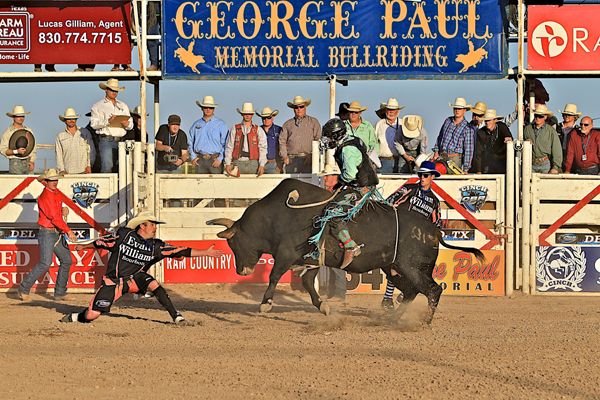 Brandon Loden swiftly takes his place between bull and rider! 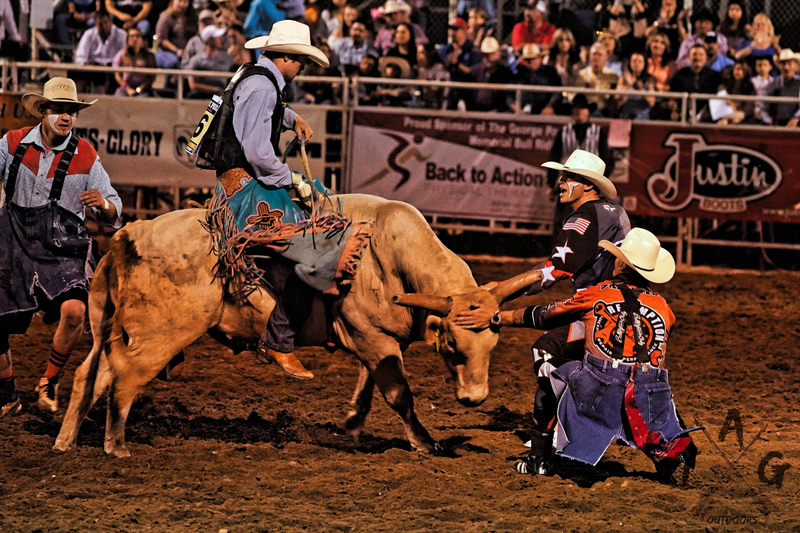 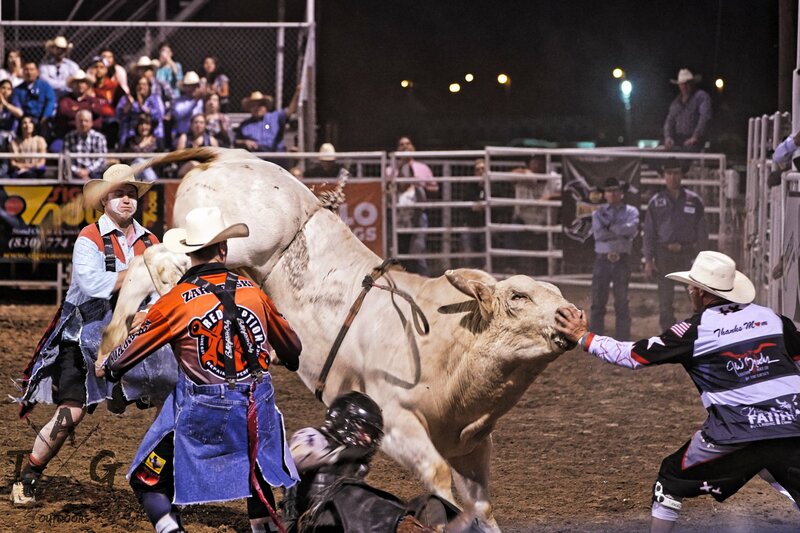 Brandon Loden & Cody Hollums protect the bullrider!